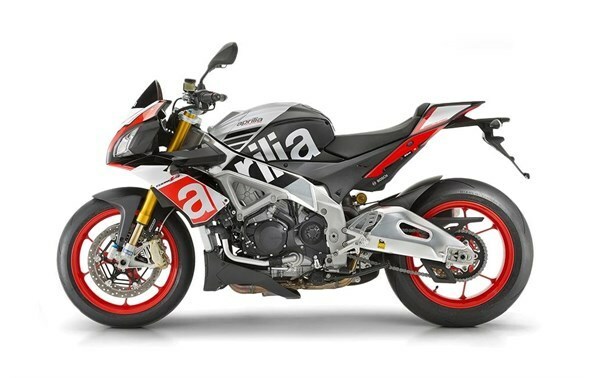 2015 Aprilia Tuono V4 Factory 1100 ABS, Power In Its DNA Tuono V4 Factory 1100 ABS is the latest and most spectacular evolution of a sport naked dynasty, born in 2002 out of Aprilia's intuition to strip down and fit a handlebar on their flagship superbike (which at the time was the V-twin RSV mille), thereby combining all the advantages of a chassis par excellence with the fun of sitting up and dynamic riding. The patriarch of the new “supernaked” category was called the Tuono 1000 R, the first ultra-high performance naked. Aprilia Tuono has therefore always been a high handlebar superbike, unbeatable on the track and loads of fun on the road. It was out of this tradition that a completely new Tuono was born in 2011, a direct emanation from the unbeatable Aprilia RSV4 introduced in 2009 and World SBK dominator. It was an epic change: Tuono V4 R immediately made a place for itself as the highest performance, most technological and sophisticated naked sport bike ever manufactured, the most adrenaline pumping, fierce and effective naked ever seen, an excellence for the most purist of thrill seeking enthusiasts thanks to the V4 engine capable of 167 HP and the exceptional aPRC electronic controls package, still unrivalled in terms of effectiveness and technology. But the evolution did not stop here. In 2013 an even more refined and powerful version was introduced: Tuono V4 R ABS which offered the new features which had already been successfully introduced on the second generation RSV4, such as the higher performance engine (170 HP), the revamped and recalibrated aPRC system and a Race ABS system capable of withstanding even the extreme stress of the track.